Mixed reality is the next evolution in human, computer, and environment interaction and unlocks possibilities that before now were restricted to our imaginations. # Mixed reality is the result of blending the physical world with the digital world. # Mixed reality is the next evolution in human, computer, and environment interaction and unlocks possibilities that before now were restricted to our imaginations. #The application of mixed reality goes beyond displays but also includes environmental input, spatial sound, and location. 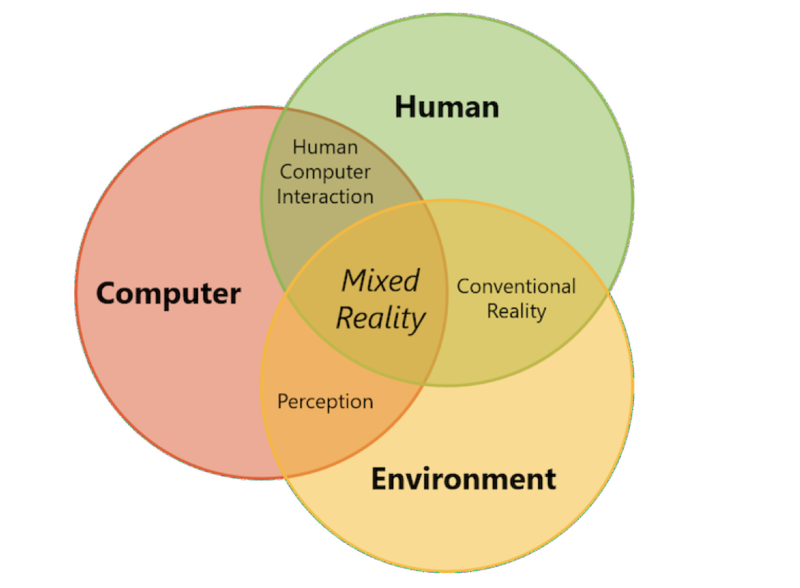 Computer processing, human input, and environmental input – sets the opportunity to create true mixed reality experiences. Movement through the physical world can translate to movement in the digital world. Boundaries in the physical world can influence application experiences, such as game play, in the digital world. Without environmental input, experiences cannot blend between the physical and digital realities. 1. Holographic devices: These are characterized by the device's ability to place digital content in the real world as if it were really there. 2. Immersive devices: These are characterized by the device's ability to create a sense of "presence" – hiding the physical world and replacing it with a digital experience. facilitating the placement of digital information or content in a user’s current environment. Contextual placement of digital content in the real world is paramount and/or keeping the user’s real world environment “present” during their experience is key. Immersive environment apps are centered around an environment that completely changes the user’s world and can place them in a different time and space. Context of the real world environment may not be important to an immersive environment app. 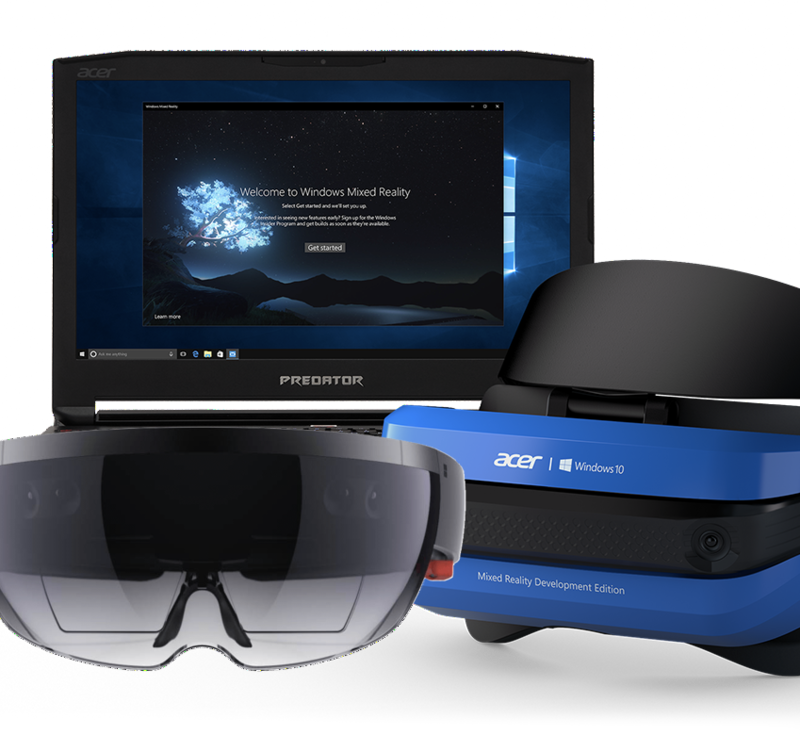 Microsoft's Windows 10 Mixed Reality headset with partners—including Acer, Asus, Dell, and HP which provide 6dof anf=d inside out tracking. Plug your pick of headsets into a Windows Mixed Reality-ready PC, and you’re off to amazing experiences. Should I be concerned about the future of MR? There are lots of opportunity to design for MR, VR and AR, but a good developer and designer needs to understand people first and foremost, along with understanding spatial awareness.